I can't wait for warm summer nights with the sun setting around 8 P.M and being able to run around in shorts and a tank top all day and night. With the weather being in the high 80's, I love wearing casual and comfy clothing that allows me to still keep it fresh. I have always loved sneakers, especially converse, because it allows you not only only be comfortable but still be stylish in casual attire. Speaking of converse, I chose to keep it casual yesterday while running errands. I haven't had a chance to wear my skirt yet and thought adding a simple clean button up would be the perfect attire with some comfy sneakers. Do you often wear sneakers? If yes,share how you wear them! I rarely wear sneakers but the way you have them styled is so cute! I just recently got myself a pair of converse sneakers and I'm addicted. I want to wear them all the time! Check my blog for some of the ways I've worn them ! I love your version of styling a pair too . beautiful pics, beautiful you! 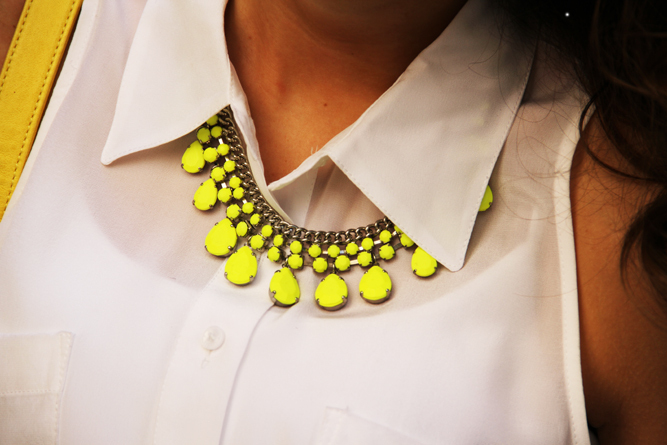 love neon accents! and your hair is fantastic! i love how the yellow matches up so well! the necklace is fantastic, same with the RM mac. You look so freakin cute! like always....love it all!!! Glad to have found your blog....you look fantastic!! Can I just say that I absolutely love your hair! And your sense of style is so cute :) Followed you! Your hair is gorgeous!!! Curls are perfect for you! I'm having a your choose cashmere giveaway on my blog, would love for you to pass by and enter I think you'll love it. I love your blog, is great! follow each other??? let me now ok! such a great summery outfit. i love how you incorporated so much yellow (favorite color!) but especially the necklace--it really makes the outfit! 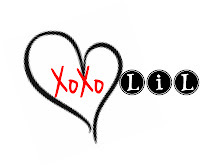 Girl, I just found your blog and it is AWESOME! Love your outfit! I'd love to keep in touch with you, so maybe we could follow each other? Let me know asap honey! Cute outfit and love your beautiful hair!! That outfit is adorable! I love the yellow necklace and the Converse. Definitely an outfit that you could wear dressed-up with heels or casual with the Converse. You look fantastic! thanks for stopping by my blog - it made me find yours and i love it! such great style and i love the street style and editorials you have here too for inspiration.